Located off of the Great Western Highway, Katoomba is the main hub of the City of Blue Mountains. 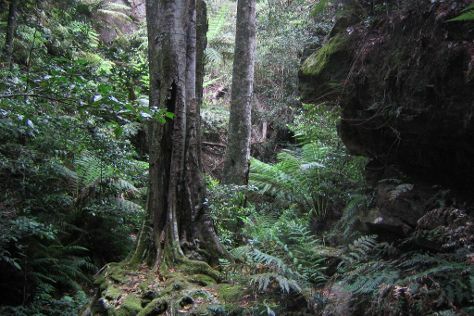 Start off your visit on the 11th (Thu): take a peaceful walk through Coachwood Glen Nature Trail, explore the stunning scenery at Pulpit Rock Lookout, then explore and take pictures at The National Pass, and finally admire the sheer force of Wentworth Falls. To see photos, ratings, where to stay, and tourist information, you can read our Katoomba sightseeing planner. Kuala Lumpur, Malaysia to Katoomba is an approximately 14.5-hour combination of flight and train. You can also do a combination of bus, flight, and train; or do a combination of train and flight. The time zone difference when traveling from Kuala Lumpur to Katoomba is 2 hours. Plan for colder temperatures traveling from Kuala Lumpur in July, with highs in Katoomba at 20°C and lows at 3°C. Finish your sightseeing early on the 11th (Thu) so you can drive to Sydney. 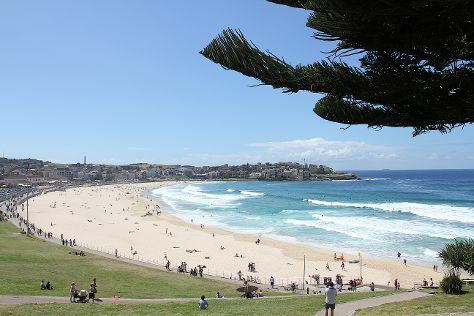 Start off your visit on the 12th (Fri): stop by Sydney Fish Market and then stroll through Bondi Beach. Plan trip to Sydney with our itinerary maker to find out where to go and what to do. Getting from Katoomba to Sydney by car takes about 1.5 hours. Other options: take a train. Traveling from Katoomba in July, expect a bit warmer with lows of 9°C in Sydney. Wrap up your sightseeing by early afternoon on the 12th (Fri) to allow enough time to travel back home.